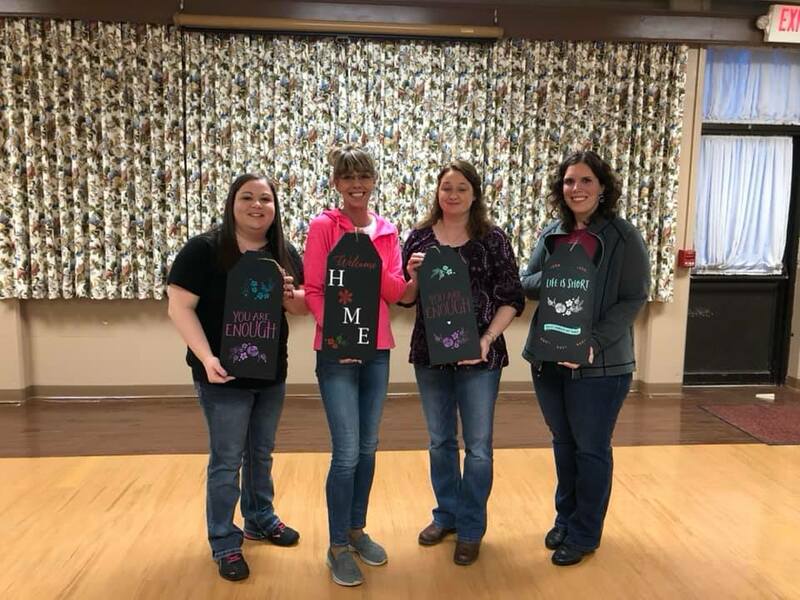 Introductory Chalk Couture classes held at Benedum Civic Center were well-received and the monthly class is scheduled to run throughout spring and summer months. Taught by Carissa Huff, the medium is versatile, washable and reusable. The fairly new concept and product made its appearance in the summer of 2017 in Salt Lake City. Huff first discovered it on Pinterest. She did some research, eventually meeting a sponsor in person who educated her about the product and process. After selecting a surface – chalkboard often a favorite – the crafter prepares the sticky transfer by “fuzzing” it so it will adhere to the surface. Chalk paste is applied over the transfer with a squeegee and the surface is washed with warm water. Once dry, the surface is sticky again, allowing for layering of transfers and plenty of creativity. Chalk paste is available in a variety of colors. They, too, can be layered to create a unique look. 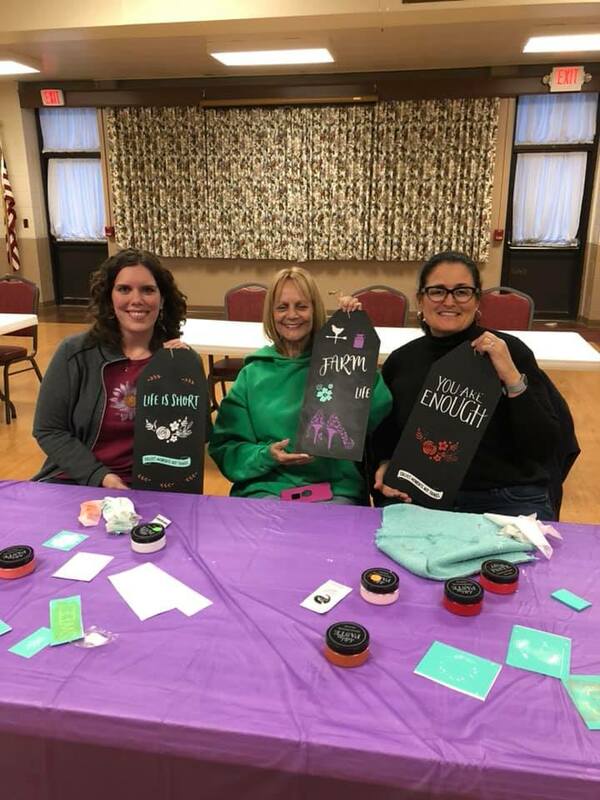 She encourages crafters and novices alike to try their hand at Chalk Couture. 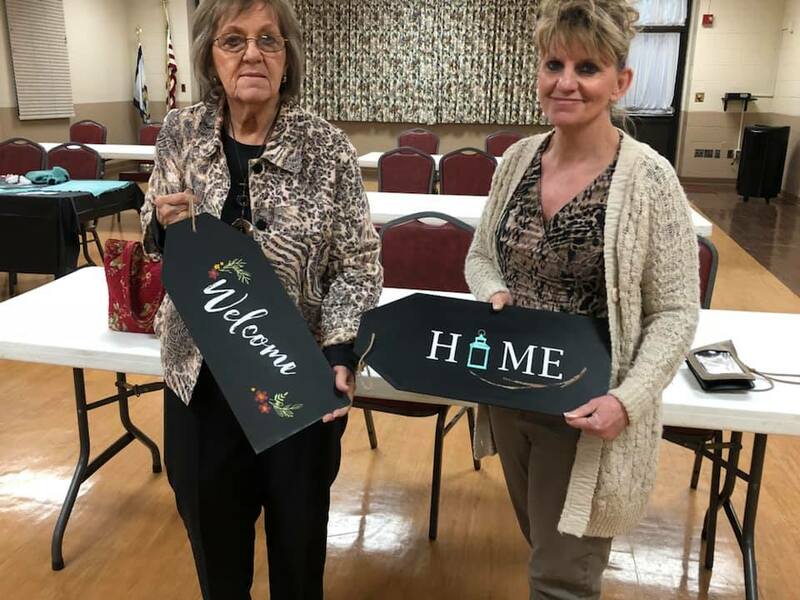 Recreation coordinator for Bridgeport Parks and Recreation, Katie Squires said interest has been increasing since the first class taught earlier in 2019. The March class was close to capacity. "We hope to continue to fill classes - max is 15 - and offer it once a month," she said. Cost is $35 per class, which includes all materials. Interested individuals must pre-register by above deadlines by calling 304-842-8240 or stopping at the Benedum Civic Center office on West Main Street. Editor's Note: Photos were taken at March class held at Benedum Civic Center. Stay up to date at The Eclectic Farm Chalk Couture Independent Designer Facebook page.